Hennepin Technical College offers one of the lowest tuition rates in the Twin Cities area; costing the average full-time student around $5232 per year. The Hennepin Technical College Foundation offers various scholarship opportunities that can make your education even more affordable and attainable. 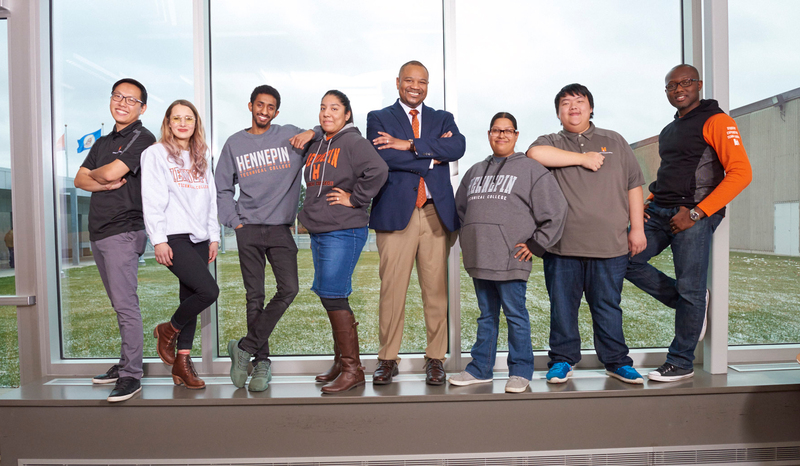 The Hennepin Technical College Foundation's Promise Scholarships range from $1,000 to $5,000 for high-achieving students from underrepresented communities. Earn a 3.00 GPA, OR achieve an ACCUPLACER Reading Comprehension score of 56 or ESOL Score of 101 for adult learners. Please note the ACCUPLACER score qualifying for this scholarship may not be the same score required for your selected program of study. We encourage students of all backgrounds to apply. If you have any questions about your eligibility or the applications process, please call (763) 488-2426 or email foundation@hennepintech.edu. Step 1: Apply for the scholarship by March 20, 2019 by 5 p.m. Scholarships will be awarded for the Fall 2019 semester and Spring 2020 semester.